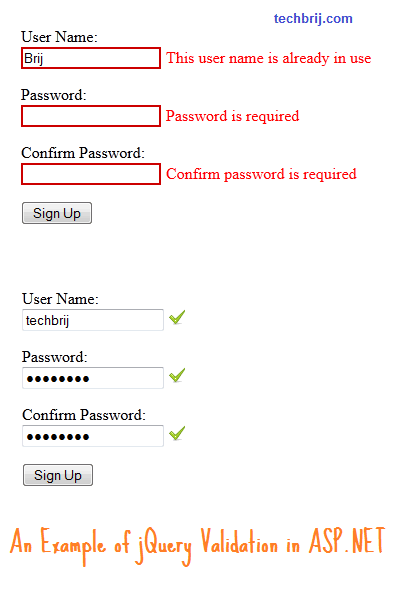 The form has username, password and confirm password fields. I am using ClientIDMode=”Static” for all textboxes so that I could use same name in jQuery. valid css class is used to add green check sign. For simplicity, I am using jquery validation plugin from cdn. We saw how to use jquery validation plugin in asp.net web forms, call server side method to check username, add green check mark for valid entries.